It was a long day today. 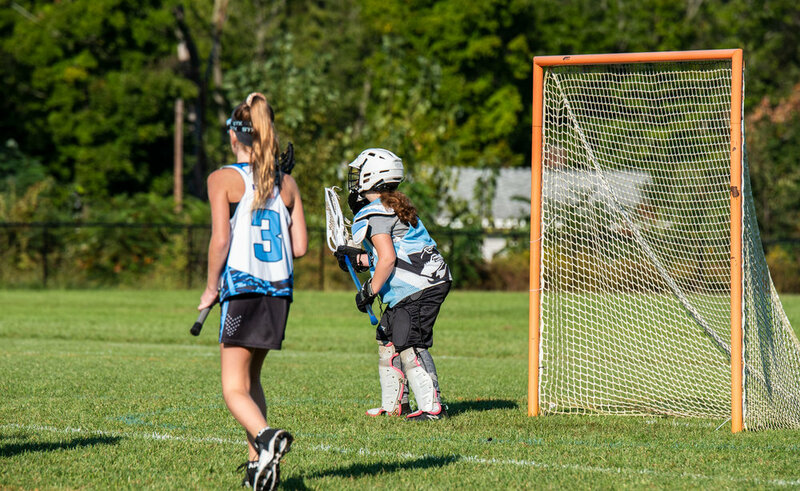 I am writing this in a hotel in East Windsor, CT. Grace, our granddaughter has a Lacrosse Tournament tomorrow, here in East Windsor — we couldn’t miss that. We had a quick breakfast this morning, I made eggs and toast, Carol had her fruit filled oatmeal. We both had fried toast..I know, I know, not the best for you. We were on the road by 8:30 and as we left the park we actually saw a bit of classic Maine. The town of Seal Harbor. It was a perfect little Maine community and seemed untouched by all of the commercialism we saw in Bar Harbor. Then we found the highway and I drove and I drove. We stopped for gas a couple of times, and stopped at the Kittery Trading Post..we always stop at the Kittery Trading Post when ever we come to Maine..so much good stuff there. We used to always stop with our friends Brian and Judy, back when it was less of a tourist destination and more of an actual trading post. Brian and I had purchased logging gear there, feeling very manly. Today it was socks, a nice reserved gray, and Carol got pajama bottoms too. Back on the road from Kittery we looped around Boston on 495 and then to the Mass Pike (90) to Springfield and down to East Windsor. We arrived at the motel just after 6 PM, a long day indeed. 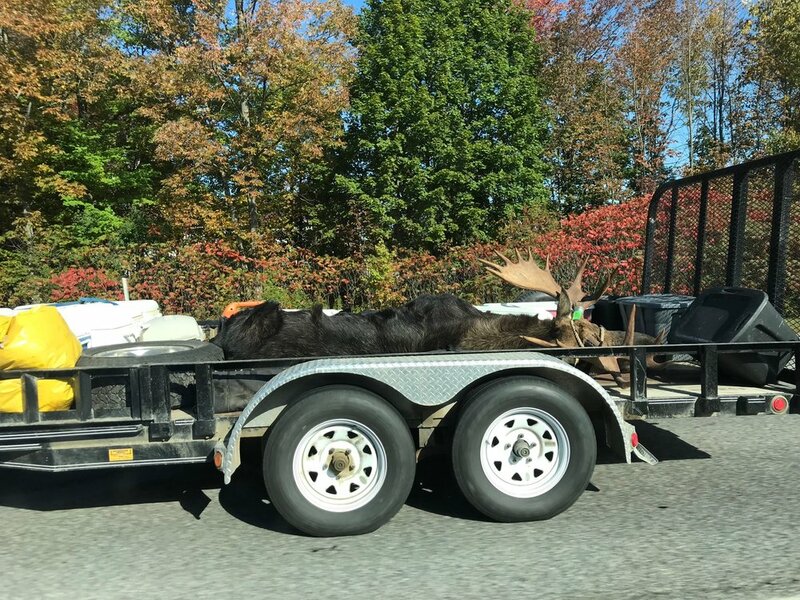 We saw this dead moose along the highway. . .somewhere in Maine. Wish I had interesting things to write about but it was just a long drive with a good book coming out of the speakers and good company sitting next to me. I think I will go jump in the shower now, Carol has finished and I am in need…we will see how the tournament works out tomorrow. 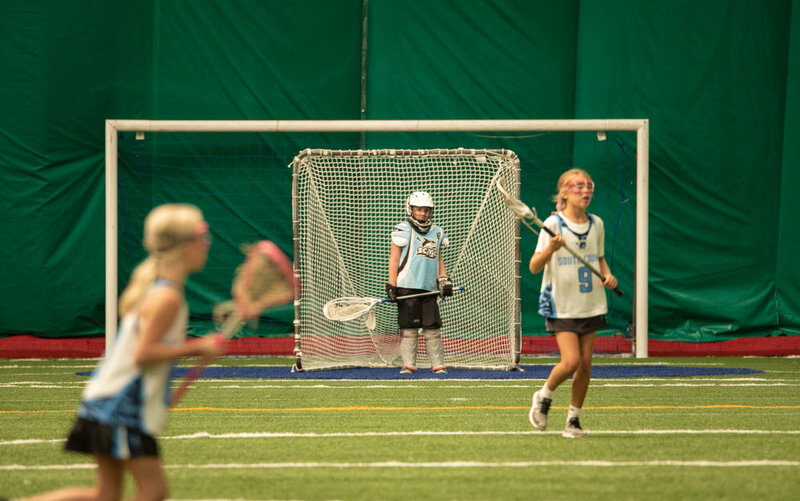 The next morning we surprised Grace by showing up for her tournament..she had no idea that we were coming. Parking with the trailer was interesting but it all worked out. Grace had a great day although the scores weren’t what she wanted the competition was fun and it was certainly a great experience for her. We stayed until the final match but were eager to get home and settled..it had been a long trip and we were in need of home. . .
All in all a good trip. The little trailer performed perfectly, we stayed dry and comfortable and cooking was easy. Our gas mileage averaged about 22 MPG which I fee is perfectly acceptable considering the hilly terrain we traveled through. The most surprising thing was the performance of our Yeti cooler. 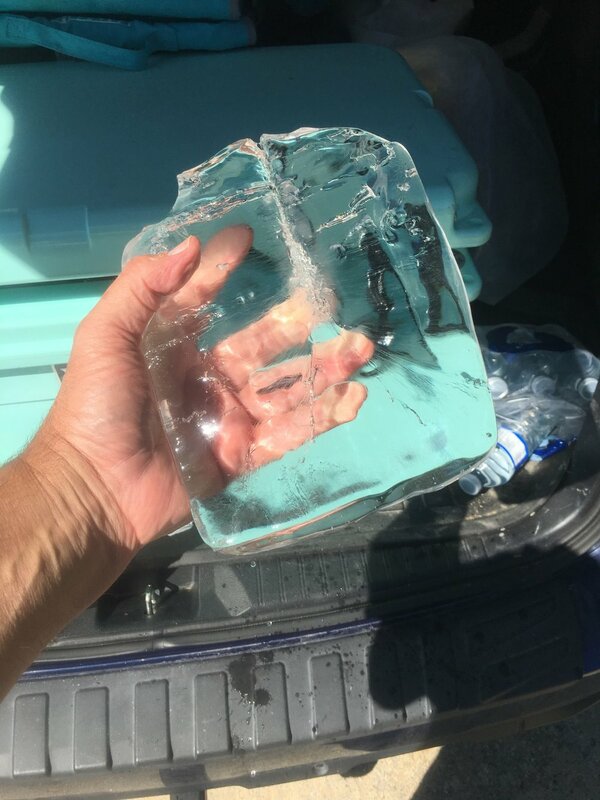 The day before we left (September 16th) I put a block of ice in the cooler, and granted we added small bags of ice along the way but when we got home (September 30th) I still had about a third of the original block of ice in the cooler…thanks Yeti! Ice after two weeks in the cooler, good ole Yeti!